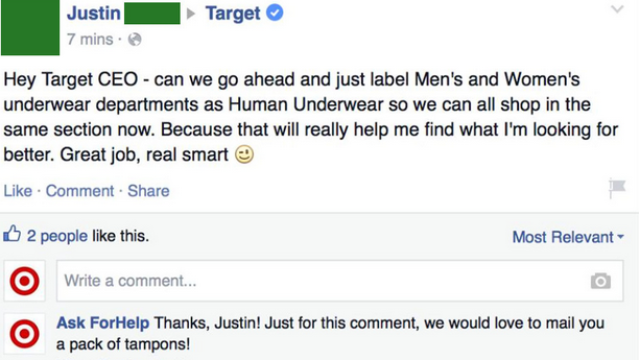 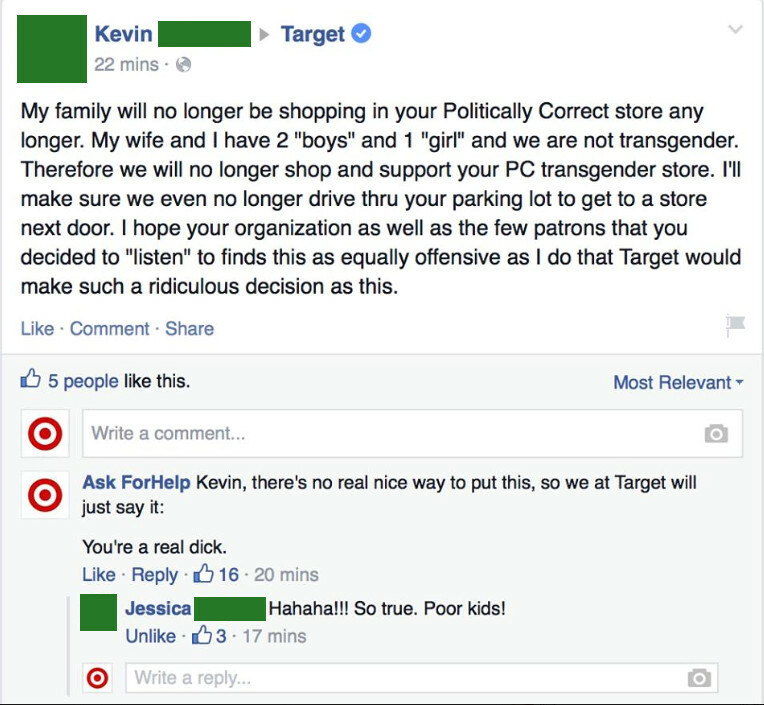 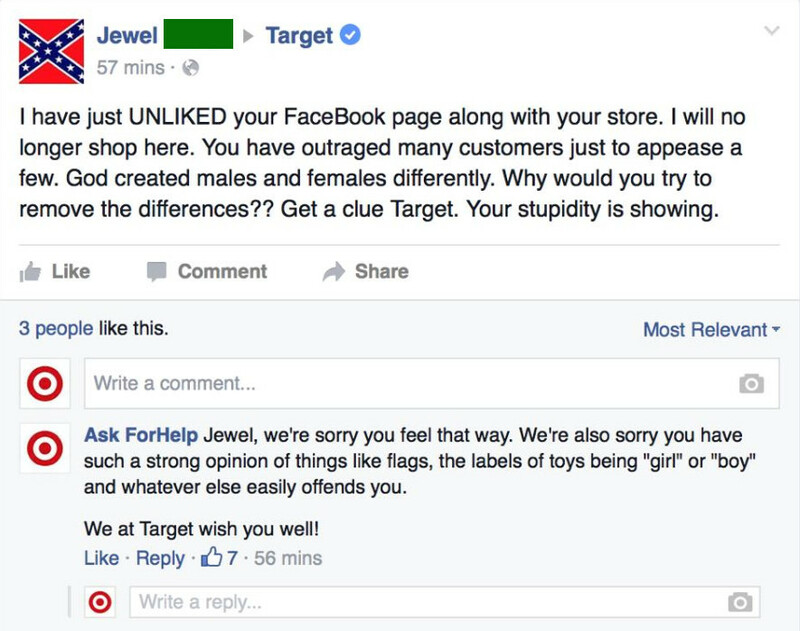 Guy pretends to be customer service so he can troll outraged idiots on Target's Facebook page. 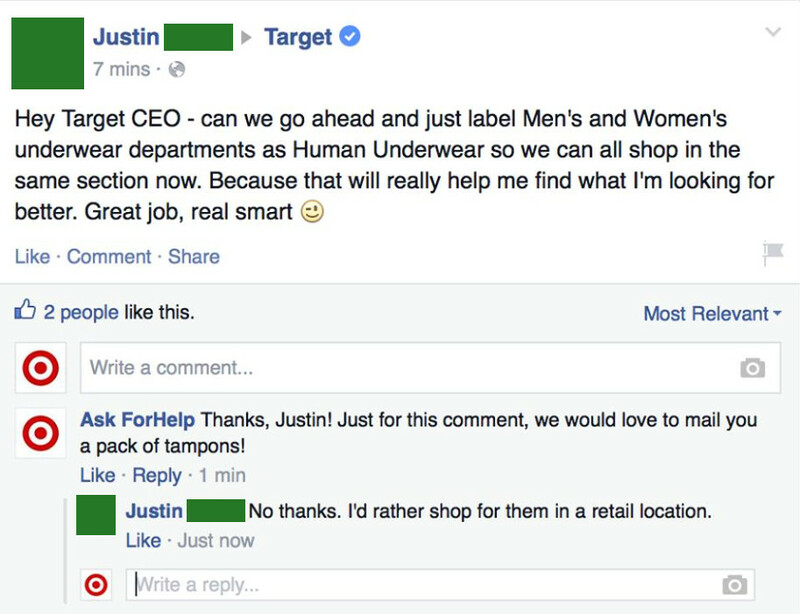 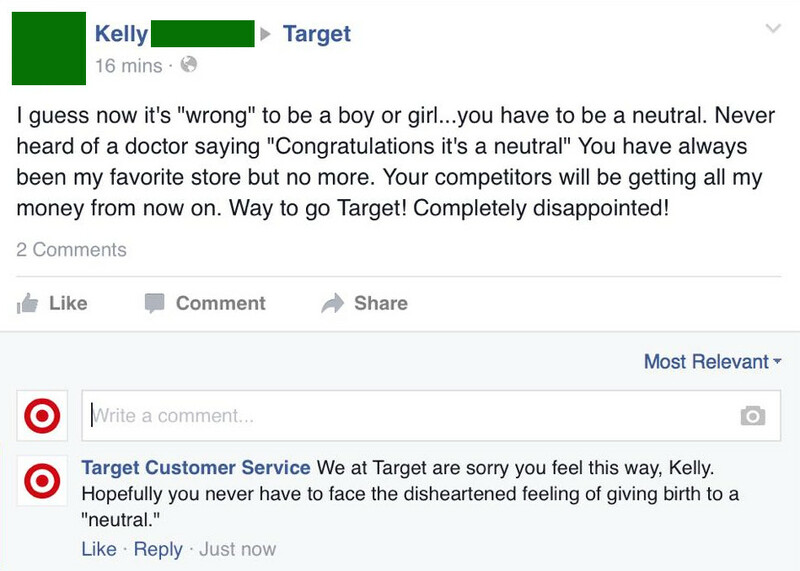 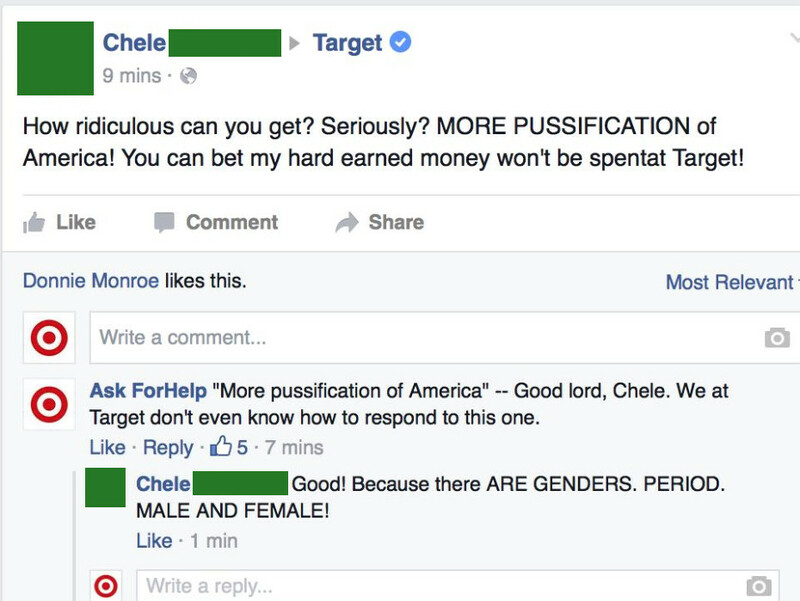 When Target announced that it would get rid of gender separation in some departments, people took to their Facebook page to complain about the "PUSSIFICATION." 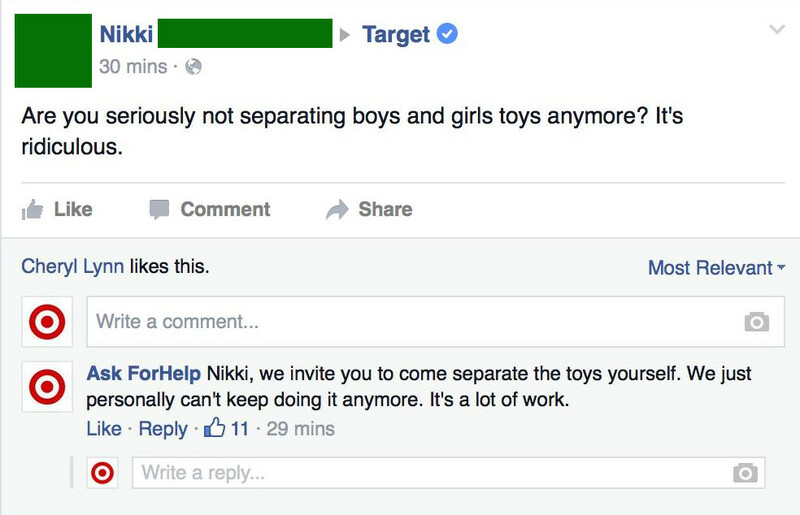 And fake Target customer service rep Ask ForHelp was there to answer them. 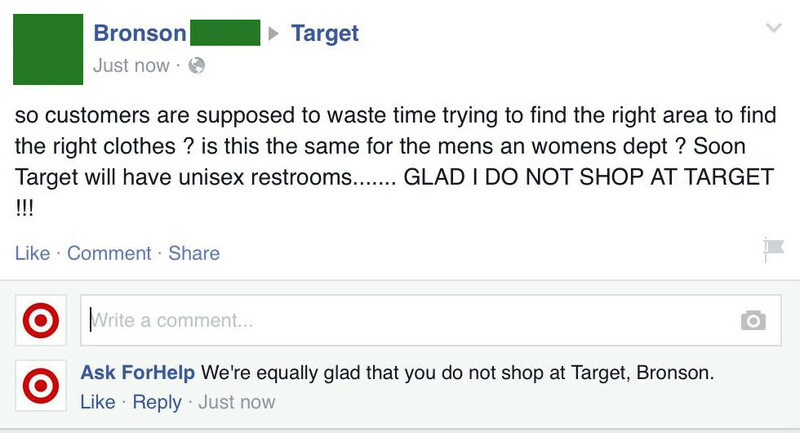 Anyway, one person who saw the posts on Target's Facebook wall was "pot-stirrer" Mike Melgaard. 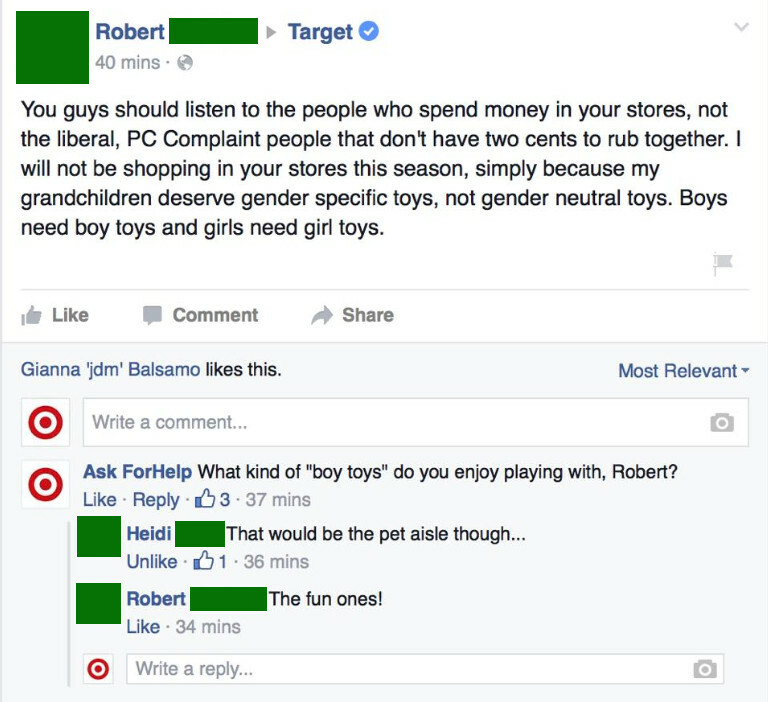 Melgaard decided to put his pot-stirring efforts to work with a fake Target customer service account, Ask ForHelp. 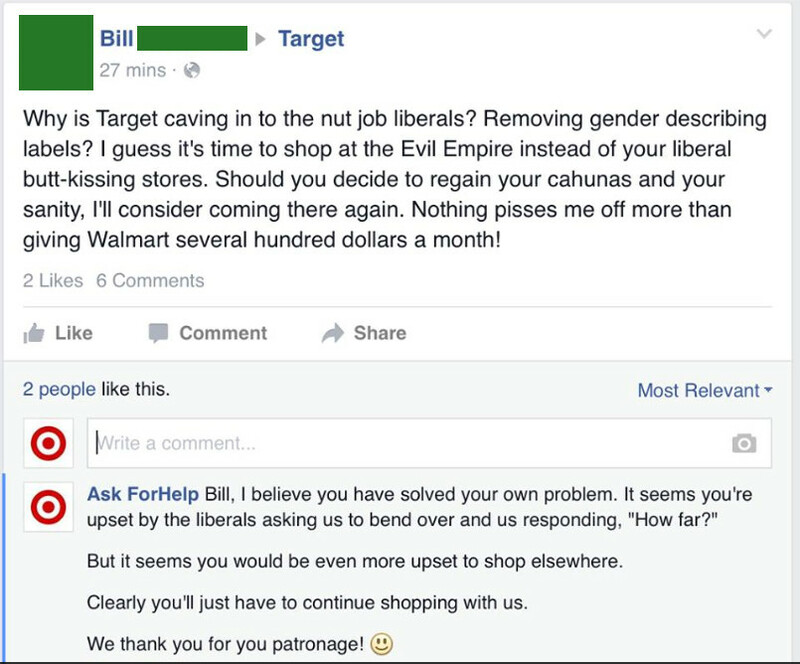 For a glorious 16 hours before the account was squashed, Melgaard responded to all sorts of offensive comments with unhelpful "help." 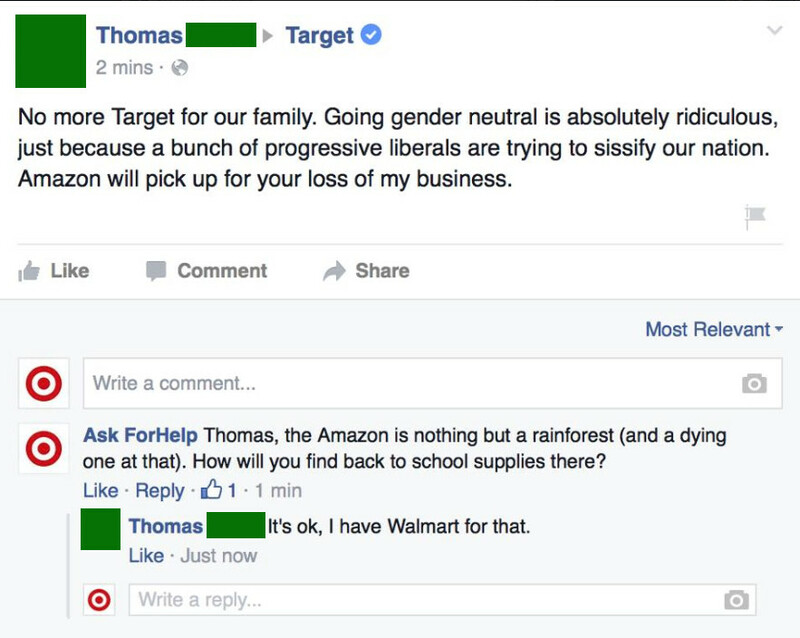 Selections from Ask ForHelp are below, because yes, there are stupid questions. 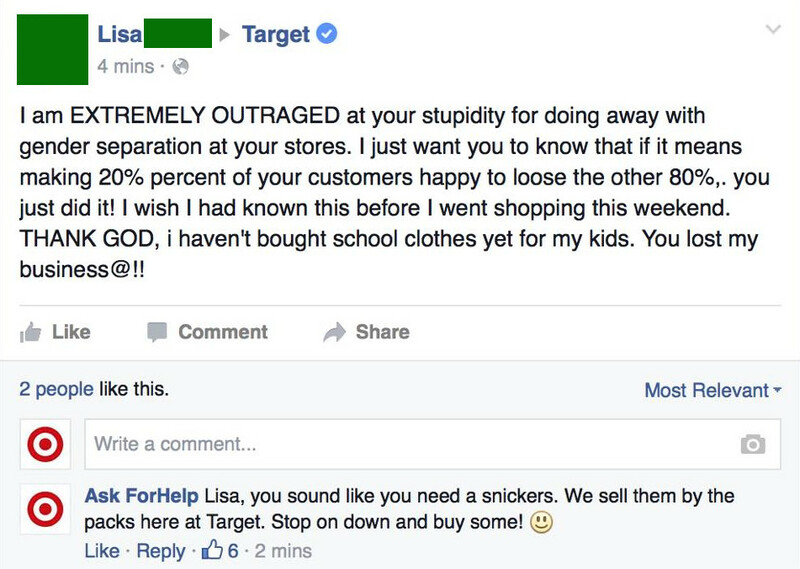 There are more images on Mike's Facebook page. 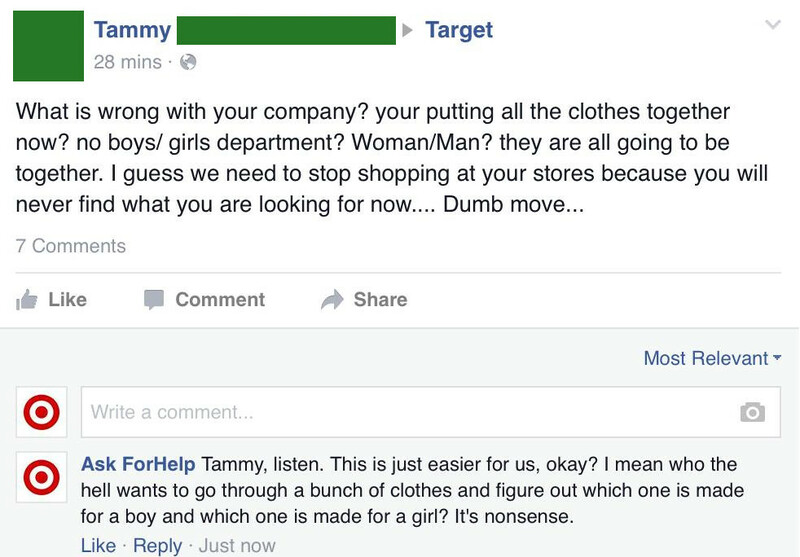 See also: Fake "Customer Service" account answers idiots' online complaints so companies don't have to.